Give your brain some training with our Number Game Bot Bundle. 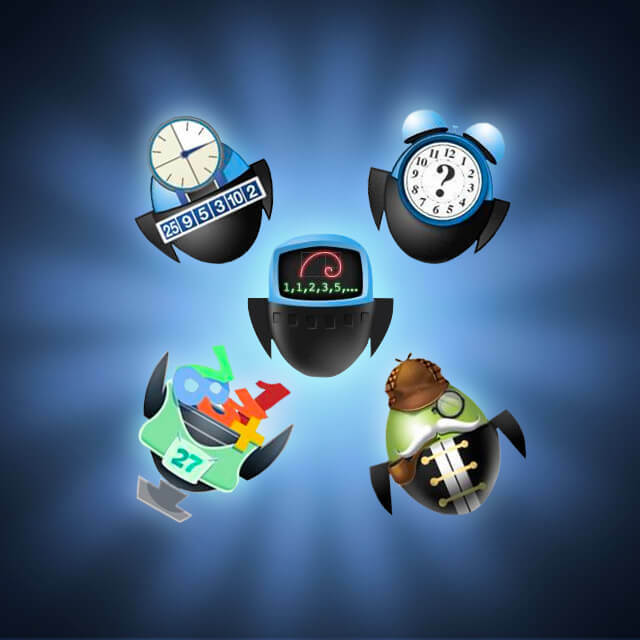 Mathletics, Countdown, Number Detectives, Fibonacci, and Timing Bots will have you working up a mental sweat. Don’t forget you can get some sweet achievements, too!